Incredible and very usable. Bring her back! Phenomenal speaker, excellent class, great materials! Best class I've been to in a very long time! I've already put the course to good use with my last three listing appointments. 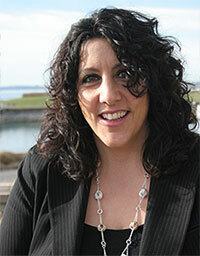 Kitsap Realtors did a great job to get Denise Lones! One of the best instructors I've heard. 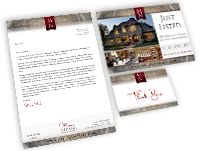 Great advice, even for realtors that 'think' they're great! Denise gave us lots of valuable information. Denise brings a lot of energy & experience to the class. Exceptionally knowledgeable and a dynamic speaker! This course helped me not just professionally, but my personal life as well. Very practical ideas with evidence of success. What a pleasure it was to finally have you teach in Sioux Falls, SD! I was totally blown away with the exercise in class today! Very informative and energetic. I was so impressed with her knowledge! Great information. Well presented. Priceless! It's obvious Denise knows & likes what she advocates! Please invite her here again! I'm good at open houses, but even I learned something from Denise. Denise is a dynamic speaker and lots of fun. Denise is idea oriented and informative. Awesome, solid ideas, what a great instructor! Clear, concise and real world reliable tips. I have 38 years experience and still found her great! Comprehensive and encouraging. Great business info. Information had an ease-of-use approach. Denise is an excellent speaker and trainer! Great visuals, great ideas, thank you! Good up-to-date info and great examples! Clear, precise, fun and energetic. Great speaker!! Engages you in class!! Denise's intuitive ability to instruct is a strength. Interactive, up-to-date in our working-world. Great ideas to incorporate into my business plan. Denise is a fabulous instructor! Many new ideas to build my business! Lively, well informed & knowledgeable about current real estate issues! Denise knows what works in real estate! Denise is an outstanding presenter! Denise is totally approachable, skilled and inspiring. A knowledgeable, intuitive and witty instructor. Denise is able to connect with her class. Denise is inspiring and gives me wonderful ideas! Denise is full of ideas, all excellent and she explains! Informative, practical and a great communicator. Fast paced and full of useful information. Engaging, uses real life examples, communicates well! Denise is clearly experienced. I love the examples and stories. She's a pro! Clear, precise, humorous and a great instructor! Relevant for today. Ideas you can start on today! Energetic and knowledgeable of our market! Did her homework! Outgoing. Gets the point across with enthusiasm. I would definitely take another course from this instructor! Denise has to be the best in the state! She is amazing! I learned a lot. Great examples and visual materials. I always enjoy the substance and informative format of her classes. Thanks to Denise and the entire Lones Team!! In just a couple hours I am already connecting the dots! This is really going to set me apart, I can't wait to put this information to use! As a former school principle, I get great pleasure watching [your] outstanding instruction. Well organized, full of strategies designed for immediate application. The information is so smooth and natural. A true teacher! Because you are so closely aligned with agents, your success is likely tied with the real estate market, there is a reason for you to be invested in agents getting more business in the door! Great agent education can be the linchpin for keeping agents focused on bringing in more business and staying energized. Classes taught by Denise Lones are sought-after by agents far and wide who are in need of inspiration, real-life know-how, or even a well-placed shot in the arm. Agents who attend feel more energized, focused, and are ready to bring in more business! We are looking for educational partners who are ready to help us help our clients. Since they are your clients too, this is a win-win situation! Can we count on you to be our partner in agent success and our partner for making one of our upcoming educational events memorable? Many of our venues also include opportunities to sponsor a coffee break or snack if you prefer. Pricing depends on venue and can be coordinated through our office. Sponsorship opportunities exist throughout the year. To check for available upcoming opportunities, please visit our events page.